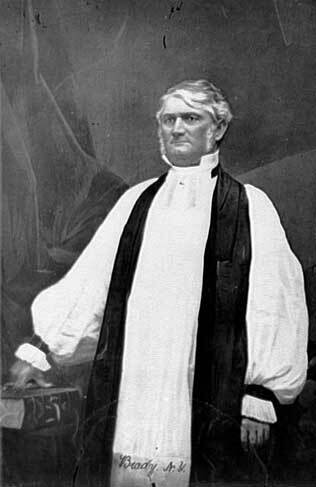 The Apostolical Commission: The Sermon at the Consecration of the Right Reverend Leonidas Polk, D. D., Missionary Bishop for Arkansas; in Christ Church, Cincinnati, December 9, 1838. Funeral Services at the Burial of the Right Rev. Leonidas Polk, D.D. together with the Sermon delivered in St. Paul's Church, Augusta, Ga., on June 29, 1864 being the Feast of St. Peter the Apostle. Columbia, South Carolina: Evans & Cogswell, 1864. Leonidas Polk, Bishop and General. A Letter to the Right Reverend Bishops of Tennessee, Georgia, Alabama, Arkansas, Texas, Mississippi, Florida, South Carolina and North Carolina from the Bishop of Louisiana. New Orleans: B.M. Norman, 1856. Address of the Commissioners for Raising the Endowment of the University of the South. New Orleans: B.M. Norman, 1859. A Christian Address to the Confederate Soldiers.